Debbie Engelen-Eigles teaches Sociology and Gender Studies at Century College in White Bear Lake, Minnesota. Her path to sociology was a circuitous one, starting with an undergraduate studio art major, moving through graduate work in European Studies at the Université Libre de Bruxelles, followed by an MS in consumer studies and immersion in Appalachian culture through a housing research project in Southwest Virginia. She landed in the Upper Midwest where she earned a Ph.D. in Sociology with a minor in Feminist Studies from the University of Minnesota. Century College, located to the northeast of the capital city of St. Paul, is a two-year combined community and technical college forming part of the Minnesota State system. Prior to joining the faculty at Century, Debbie taught at the University of St. Catherine, St. Olaf College, and the University of Minnesota. While at Century, Debbie has been involved in various equity and diversity initiatives, including co-directing a team to lay the groundwork for a comprehensive honors program. Based on these efforts, she co-authored, with colleague Janice Milner, Why Honors is a Hard Sell in the Community College. Debbie’s teaching and research interests include social psychology and disability studies. 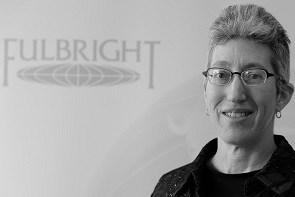 In 2011-2012, she received a Fulbright Senior Scholar Research Award to Seoul, Korea, to study the experiences of women with disabilities in accessing health care. Affiliated with Seoul National University, her work allowed her to do one of the things she most enjoys as a sociologist—conducting in-depth interviews that allow her to make deep connections with others and step (if only briefly) into their lifeworlds. On the basis of her research, Debbie presented recommendations to policymakers, advocacy organizations, and the media for measures to improve health care access.